Get the Microsoft Applications you already trust anywhere, anytime with Microsoft Office 365. With a range of options to suit every business regardless of your size you can deploy Office 365 across multiple devices including your desktop computer, your laptop and your smartphone. 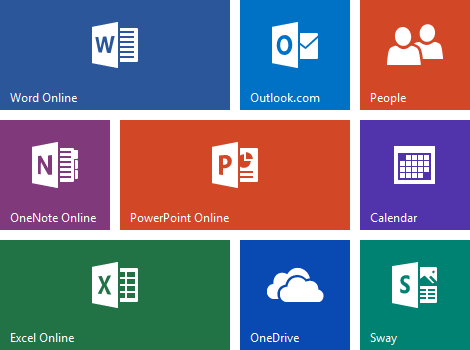 Always have access to the latest versions of your favourite office applications including Word, Excel, PowerPoint, Outlook, OneNote and Publisher. Get the office experience across desktops, laptops, Macs, Windows tablets and iPad® and Android™ tablets and most mobile devices. You can create and edit Word, Excel, PowerPoint and OneNote online via a web browser and easily share files with others. Microsoft guaranteed a 99.9% uptime of their Office 365 Cloud service and you get Microsoft Office 365 support. Your data is secure and protected because Microsoft datacentres are built from the ground up to protect services and data from harm by natural disaster, environmental threats, or unauthorised access. Easily deploy and manage Office 365 across your company creating and removing users with ease.